Telangana will go to polls, along with Rajasthan, on December 7. A total of 1,821 candidates have filed nominations to contest the Assembly elections in Telangana. 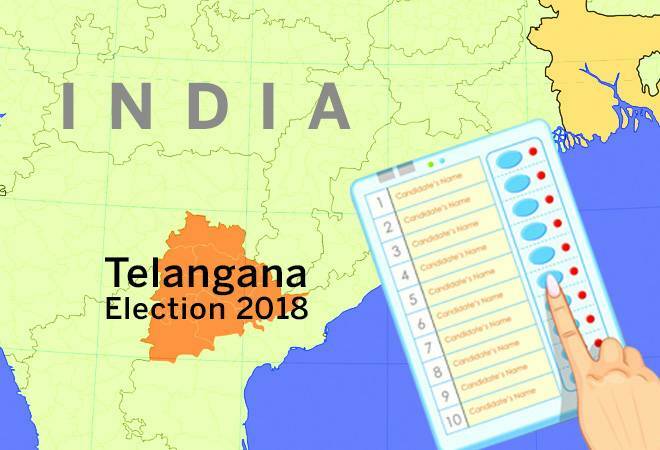 Among those fighting polls, 438 candidates, around 25 per cent, are crorepatis, while 368 (21 per cent) candidates have criminal cases registered against them, a survey conducted by the Telangana Election Watch and Association for Democratic Reforms (ADR) has found. The sworn-in affidavits of a total of 1,777 candidates was analysed to make the report. Of all those analysed, 367 are from national parties (BJP and Congress); 268 from state parties; 490 from registered unrecognised parties; and 652 candidates are contesting polls independently. As per the survey, Telangana Rashtra Samithi (TRS) has 107 crorepatis (90 per cent) of total 119 candidates fighting the Assembly polls 2018. The national parties, including the BJP and Congress, also have no dearth of rich candidates. As many as 86 BJP candidates (73 per cent) of total 118 analysed have assets worth over a crore. Over 73 per cent of the Congress party candidates are also in the crorepati club. In terms of average assets, TRS candidates have average assets of Rs 12 core, followed by the BJP with Rs 7 crore. The average assets of the BSP candidates come out to be Rs 7 crore. In the case of Congress nominees, the average assets account for Rs 16 crore. The Congress Party's Komatireddy Rajgopal Reddy, who's contesting from Munugode, tops the richest candidates' chart with assets worth Rs 314 crore. BSP's Sunil Kumar Muthyala, who is contesting from Balkonda, has assets worth Rs 182 crore. Marri Janardhan Reddy of TRS, who's contesting from Nagarkurnool, has total movable and immovable assets worth Rs 161 crore. Other candidates who fall the top 10 richest candidates category are: Anil Kumar Reddy Kumbam (INC) Rs 152 core; K Kusuma Kumar Reddy (IND) Rs 149 crore; Gajjala Yoganand (BJP) Rs 146 crore; Kasani Gnaneshwar Mudhiraj (INC) Rs 131 crore; Gaddam Vinod (BSP) Rs 131 crore; Dr Aluka Srinivas Rao (NCP) Rs 120 crore; and Nageswara Rao Nama (TDP) Rs 112 crore. A total of 58 candidates fighting the election in Telangana have no movable or immovable assets in their name. Also, there are 10 candidates, who own assets worth over Rs 2-10 crore but have not declared income tax returns. A total of 48 candidates have claimed they are illiterate, while 16 said they are literate. Among those fighting polls, maximum 362 candidates are just 10th pass, while 306 are graduates. A total of 60 candidates have pursued the doctorate degree. In terms of age, maximum 548 candidates fall in the 41-50 group, while 539 are between the age of 31 and 40. A lot of young candidates are also fighting the polls. As per the report, as many as 209 candidates are in the 25-30 age group. Out of 1,777 candidates analysed, 368 (21 per cent) candidates have declared criminal cases against themselves. Of this, a total of 231 (13 per cent) have serious criminal cases, including 6 with murder charges, says the Telangana Election Watch and ADR survey. A total of 24 candidates have declared cases related to attempt to murder under the Indian Penal Code Section-307. Four candidates have also declared cases related to kidnapping, including abduction, kidnapping for ransom, etc. A total of 21 candidates have also declared cases related to crime against women. The parties that have given tickets to most numbers of candidates with criminal cases are BJP 44 candidates; Congress 69 candidates; TRS 65 candidates; and BSP 27 candidates.